Rich in anti-oxidants, including Green Tea Extract. Has soothing effects, protects against environmental degradation and immediately gives the appearance of more volume. Aqua (Water), Alcohol Denat., VP/VA Copolymer, Glycerin, Polyimide-1, Dimethylpabamidopropyl Laurdimonium Tosylate, Piroctone Olamine, Azelaic Acid, Camellia Sinensis Leaf Extract, Pyridoxine HCl, Zinc Sulfate, Potassium Sorbate, Sodium Benzoate, Methyl Nicotinate. 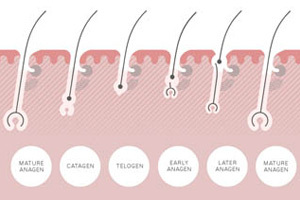 Over 80% of patients we see at the Philip Kingsley Trichological Clinics are experiencing some degree of female hair loss. As the topic of women’s hair loss becomes less taboo, more and more women are actively seeking solutions to a variety of hair problems. 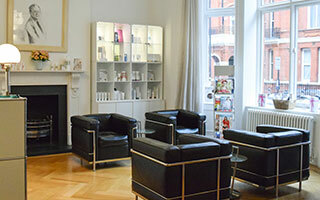 Philip Kingsley Trichotherapy helps women to get the best out of their hair, from the inside-out. The products in the regime are based on comprehensive research and development in The Philip Kingsley Trichological Clinics. The Philip Kingsley team of consultant Trichologists have a total of over 100 year’s expertise in their field. They have been published in numerous scientific papers and dermatological studies - including the British Journal of Dermatology and both the American and European Journals of Endocrinology. The team includes Members and Fellows of the Institute of Trichologists, The Royal Society of Medicine and the Society of Cosmetic Scientists. The Trichotherapy Regime encourages healthy hair growth and is ideal for women wanting to get the best from their hair. It is particularly suited to women with fine and/or thinning hair, those who are experiencing hair loss and excessive shedding, and those wanting more body and volume. Trichology is the scientific study of the hair and scalp. 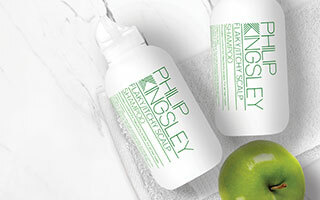 Philip Kingsley created the first trichologically driven hair range made widely available in retail stores and professional salons. The term Trichotherapy comes from this word and refers to both the scientific and cosmetic benefits that the regime provides. It literally means ‘hair therapy’.